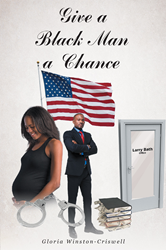 Recent release “Give a Black Man a Chance” from Page Publishing author Gloria Criswell is both captivating and cultural; this work keeps the reader mesmerized by the injustices endured and wrong-doings of the main characters. Gloria Criswell, a wife, mother, devoted writer and author, has completed her newest work “Give a Black Man a Chance”: a gripping and potent work that explores the trials and tribulations of being a black man. Published by New York City-based Page Publishing, Gloria Criswell’s poignant tale tells a story of friendship, crime, social norms and strength. Larry Bath, a twenty seven year-old account manager at Trex Enterprises, committed family man and loyal friend grew up in the city of Detroit, Michigan. Raised by his grandmother, Larry grew up in a positive environment. He had heard injustice and racism minorities in the city of Detroit were facing, but had never witnessed it first-hand. Larry and his best friends, Chris and Jeff, are always having debates about the struggle of African Americans opposed to other races. Their ten year friendship had made Larry, Jeff and Chris like brothers despite their cultural differences and personal beliefs. However, when Larry gets arrested on an attempted murder charge, the guys’ loyalty is pushed to a new level. After Larry loses his job, his fiancée and possibly the visitation rights to his daughter, he is determined to prove his innocence. Meanwhile, the once sheltered Larry discovers the betrayal, racism and scandal behind the arrest. The reality of a black man having a fair chance to gain his freedom and redeem his character is more far-fetched than he could have ever imagined. Readers who wish to experience this profound work can purchase “Give a Black Man a Chance” at bookstores everywhere, or online at the Apple iTunes store, Amazon, Google Play or Barnes and Noble. Spike Lee Lays Another Egg - Chi-Raq, a Chi-rade.